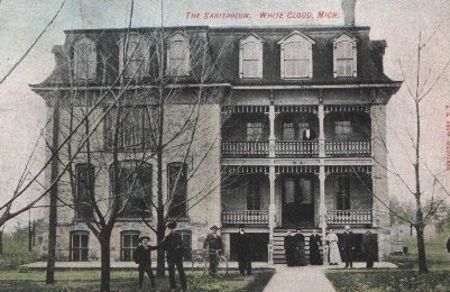 I lived over the property that used to be the insane asylum in White Cloud. It burned down a long time ago. And we would always see shadows walking around outside and heavy boots walking on the roof. My brother and I saw many things move by themselves in the house and heard voices that were not our families. Oh my gosh, I hate insane asylums, have you seen some of the episodes on ghost adventures, I still get the chills. It wasn't an insane asylum. It was a tuberculosis sanatorium built for the recuperation and treatment of chronic diseases.